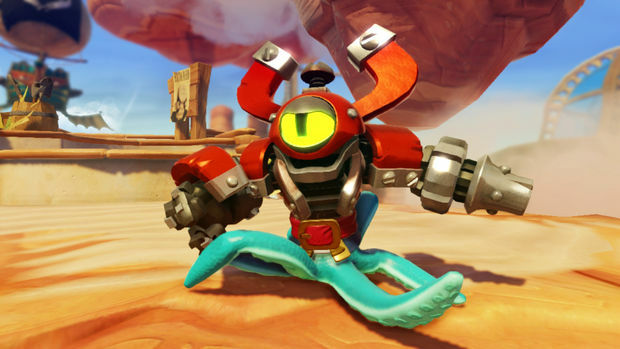 The next Skylanders game was revealed early in the morning today and it's going to let you swap different toy parts to make new heroes. Yes, you get to break the toys in half, but on purpose! Skylanders: Swap Force has a pretty cool gimmick to it with the new toys, giving you a potential of 256 unique combinations. All your old toys will work in the new game in addition to the 16 new Swappable toys, and there will be totally new regular characters added to Swap Force as well. And as you can see in the trailer, it's looking pretty cool. You can't tell by the trailer unfortunately, but what I saw in person makes it look like you're playing an animated movie essentially thanks to the new engine by developer Vicarious Visions.